Visiting Okinawa for the first time and are looking things to do in Okinawa Japan? The Okinawa Islands are without a doubt, one of the top 10 tourist attractions in Japan. The islands include over one hundred islands such as Okinawa Island, Iriomote Island and Ishigaki Island which are three of the largest Okinawa islands. The smaller islands of Okinawa are great exploring by foot and diving. Popular smaller Okinawa islands include Miyako Island and Yonaguni Island which is just fifty miles away from Taipei Taiwan. Emerald Beach, located at Okinawa Ocean Expo Park, is a public beach with showers that features a shallow lagoon ideal for families with small kids. Ginowan Tropical Beach is slightly bigger than Emerald Beach and has showers and picnic tables with designated barbecue areas. Inbu Beach is popular for travelers looking to camp out by the beach. It has many other facilities such as showers, picnic areas and tour operators where you can book tours such as a glass-bottomed boat trip. If you’re looking to do water sports such as jet-skiing and windsurfing, Sun Coast Resort is a great beach spot with many water rentals available for hire. 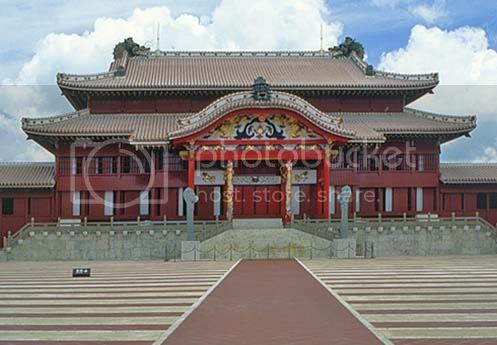 Shuri Castle is Japan’s most famous landmark and a designated UNESCO World Heritage Site, as it features many interesting ancient landmarks such as a 16th century royal mausoleum, a limestone gate erected in 1510 and a replica of the ‘Bridge of Nations’ bell. Visiting is one of the top things to do in Okinawa Japan also. Pineapple Park is located in the town of Nago, and it is one of the best attractions in Okinawa where adults and kids alike can have a fun time!. At the park, visitors can enjoy a trolley tour through the pineapple fields, and learn how pineapple is made through interactive exhibits at the museum. Manzamo Cliff is one of the top natural attractions in Okinawa, popular for its picnicking opportunities and great views of the East China Sea. If you’re taking one of the diving or boating tours in Okinawa, the Okinawa Aquarium is another place where you can marvel at Okinawa marine life such as manta and whale sharks. The Okinawa Peace Memorial Park is one of the most important landmarks in Okinawa, as it marks the spot of the Okinawa Battle. History buffs will enjoy the museum as it tells the story of the Okinawa Battle in detail with interesting videos. Visiting the Okinawa World is, undoubtedly, one of the most popular things to do in Okinawa Japan. Okinawa World is a fun and educational park where you can explore the famed Gyokusendo Cave, which is Japan’s second longest cave system. Apart from the cave, there is a snake museum that displays daily live snake shows, and an arts and crafts village where visitors can enjoy hands on activities. If you are a martial arts enthusiast, you’ll be glad to know that Okinawa was the birthplace of Karate. At the museum, you can learn more about the history of Karate while marveling at some cool old Karate weapons. Snorkeling or diving in the islands is truly one of the best things to do in Okinawa Japan. The crystal clear waters of Okinawa are filled with hundreds of fascinating marine species such as turtles, reef sharks and reef fish. One of the best ways to explore the Okinawa islands is on a boat. For instance, you could book a fishing charter which can include a captain and crew, if you’re not an experienced boater, and enjoy some fishing and snorkeling while exploring some of the tiny islands of Okinawa. If you travel to Okinawa between January and March, you can enjoy a whale watching tour around the Kerama Islands shores, which become the feeding grounds for the majestic Humpback whales. A trip here wouldn't be complete without exploring the shopping scene, which is another of the top things to do in Okinawa Japan. Heiwa Dori street and Kokusai Dori street are two of the best places in Okinawa for finding many shopping opportunities at bargain prices. Kokusai Dori street is a little more touristy than Heiwa Dori street, which has many Japanese-style stores where you can get some great items such as Japanese souvenirs and electronics. Exploring the nightlife is another of the fun things to do in Okinawa Japan. Okinawa Island is perhaps one of the best places in the Okinawa Prefecture where you can find a mix of lively and relaxed nightlife. For instance, Gate 2 District, located near the Kadena US Air Base, is one of the most well known nightlife spots in Okinawa and one of the liveliest places in Okinawa. Here, you’ll find a variety of bars, discos and karaoke bars. The town of Naha is another popular place for finding nightlife and it is a popular spot amongst international travelers as Naha is home to many English pubs and American type bars.